Alberto Ibarguen, president and CEO of the Knight Foundation, one of PolitiFact’s largest contributors, donated $200,000 to support the 8th annual Clinton Global Initiative University meeting in February 2015. 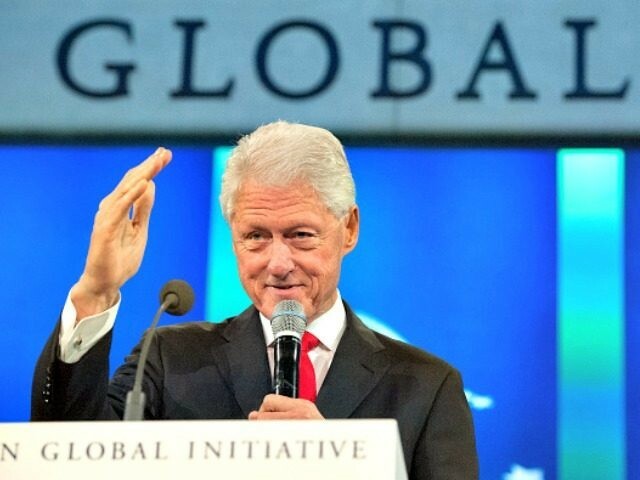 The President Bill Clinton and Chelsea Clinton-hosted event was held in Miami, Florida where the the Knight Foundation is based. The Knight Foundation also gave between $10,000 and $25,000 to the Clinton Foundation in recent years, Politico reports. “The John S. and James L. Knight Foundation has supported our efforts to fact-check political content on the publishing platform Medium,” reads the “who pays for PolitiFact” section of the website. As Breitbart Jerusalem Bureau Chief Arron Klein reports, the Poynter-hosted International Fact-Checking Network (IFCN) has published a code of five fact-checking principles endorsed by the same media organizations Facebook plans to partner with to flag and label “fake news” stories. Poynter’s IFCN, Klein notes, “is openly funded by” left-wing billionaire George Soros’s Open Society Foundations. To be clear, Ibarguen’s relationship with the Clintons has raised red flags before. Hillary Clinton’s speech at the Newseum Freedom Forum, which Ibarguen chairs, presented a conflict of interest because payment for the space would have been a direct contribution from Clinton to a CGI donor. Ibarguen also sat on Clinton’s Foreign Affairs Policy Board during her tenure as Secretary of State. Members of the board included Clinton presidential campaign Chair John Podesta and Strobe Talbott, a longtime advisor to Soros. Politifact, as documented by Breitbart News, has a history of showing sympathy toward Democrats and left-wing news narratives. Clinton’s surprise election loss to Donald Trump led to calls to clamp down on so-called “fake news,” creating a market Facebook and far-left fact- checking groups like PolitiFact are eager to corner.